Photos and diary of our Help MVP and MVP Summit conferences. 2013 MVP Summit -- Skipped this one. 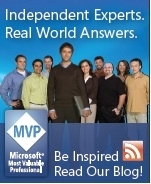 2011 MVP Summit (Feb 28-Mar 2) - Help Viewer 1.1 released as part of VS 2010 SP1. 2010 MVP Summit (Feb 16-19) - Help 3 update (now called MS Help Viewer 1.0). Only a few weeks to release of VS 2010. 2009 MVP Summit (March 1-4) - Help 3 deep dive. Due for release with VS 2010. 2008 MVP Summit (Apr 14-17) - Help 3 the beginnings. 2008 MVP Summit: US MVP Leads Brian Boston & Paul O'Rear with the Help MVPs. 2007 MVP Summit: Bill Gates addresses a large group of Microsoft MVPs.